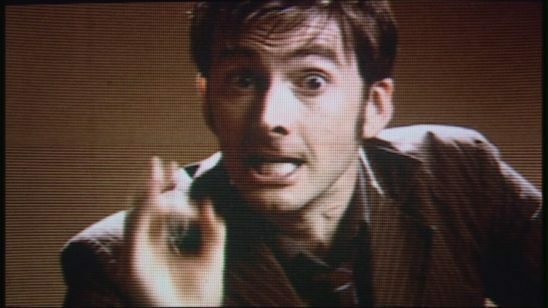 Doctor Who uses a non-linear timeline in "Blink" to masterful effect. A typical story opens when a problem appears and moves forward steadily in time until that problem is resolved. This linear progression is popular for good reason. It’s easier for us humans with our puny three-dimensional existence to understand, and it keeps us guessing what will happen next. However, it’s not the only way to tell a story. And since we storytellers can’t help sticking our hands into the forbidden realms of overly complex plots, nonlinear narratives are surprisingly common. I’ll describe some of the challenges that come with these timeline tricks and offer tips for how you can get past them. In Maplecroft, each POV character is connected. Their stories build off each other. A story’s beginning is the hardest part to tell. The audience has no clue what’s happening and zero investment in the story. You have to fill them in and build emotional bonds, but readers won’t stick around for this process unless you have a great hook to reel them in. By the time that hook wears off, the audience needs to care about your protagonist. If they are attached to the protagonist, they’ll want to watch that character overcome the problems you introduce – making your plot effective. This attachment doesn’t happen immediately, but once it’s done, you can let out a sigh of relief. You now have the right recipe for a successful story; all you have to do is maintain what you’ve built. Considering all that work, it’s remarkable how many storytellers abandon the story to do another opening. The scene changes, and the audience finds themselves in an unfamiliar location with new people, facing new problems. The story they care about is nowhere to be seen, so the storyteller must sell them on the new one, explain everything they need to know, and get them invested all over again. But most storytellers don’t think of these cold reboots as new openings, so they put less effort into making them engaging. In such a situation, the audience is more likely to be bored than entertained. The solution to this is simple: when you make a jump in place or time, build off the story you’ve already started. Your reader cares about that story. If the outcome of your new scene changes the course of events you set in motion earlier, then you’ll have as much engagement as if you had just proceeded forward. Otherwise your audience will probably lose some interest, but depicting previously introduced characters, places, or problems will still be helpful. It may be three-hundred years in the future, but your new character could be reading your protagonist’s research notes. Sure, it’s possible for your cold reboot to have a great hook and get your audience invested in this second story. However, you may have to fight uphill against their resentment. Your new scene is now in their way; it is an obstacle they have to read past to return to the story they like. That doesn’t make it an easy sell. 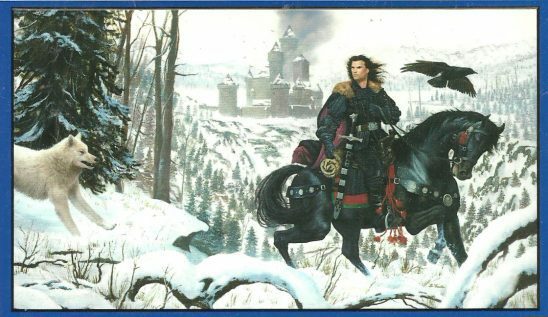 A Game of Thrones tells you who the new POV character is at the start of each chapter. Who – If you’re writing in limited, it’s critical that the audience knows who the viewpoint character is as soon as possible. When – Is this scene moving forward, or is it repeating the same time period from a different perspective? If it’s moving forward, how much time has passed since the last scene with this viewpoint character? Where – Are we in the same place, or are we across the world? In the absence of information, your audience will make assumptions. The later they discover those assumptions are wrong, the more disoriented they’ll feel. 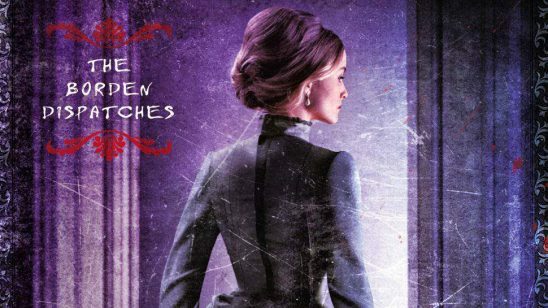 For instance, I once read three pages into a chapter of The Lies of Locke Lamora without realizing the boy Locke was now the man Locke, and it was not a good time. Because the story was so different than what I had imagined, I was forced go back over those three pages. So if you open a new scene with a who, when, or where that is substantially different from what your audience expects, your transition needs to be clearer and quicker than it would be otherwise. In some cases, it’s possible to artfully weave details of different scenery and seasonal weather into the narrative to inform the audience of the change. However, this depends on your reader remembering details from the previous scene and comparing them. If you had a big Halloween party in the last scene and there are now Christmas trees – okay, sure. But obvious and memorable markers of place and time won’t always fit the story you’re writing. If you’re making a big jump your audience won’t see coming, the stakes are probably too high for subtlety. This is where chapter labels can come in handy. They stay out of the way of your beautiful narrative, while spelling out what the audience needs to know. If you are making time jumps, the best label is usually the time relative to the last scene: “10 years earlier” or “5 months later.” However, if your changes are dramatic enough, stating the actual calendar year will be quicker. Instead of “300 years later,” saying “Tokyo: 2318” is clearer. But regardless of which method you use to state time changes, please use boring Earth years, months, weeks, etc. The human brain is too pitiful to comprehend the magnificent calendar system you’ve invented. Even with clear transitions, frequently moving back and forth through time will still be disorienting. When you jump ahead, the audience has to figure out what has changed since the last time they were with these characters. If you present your story out of order, your audience will have to do a lot of thinking to piece the chain of events together. It’s not worth putting them through that just to add novelty to your narrative style; you need an important story-related reason, or it won’t pay off. 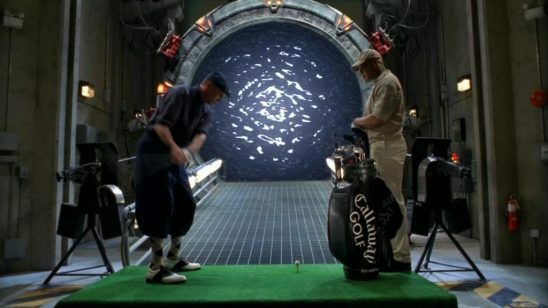 Each iteration in the Stargate timeloop episode is a little different until eventually, O’Neill and Teal’c end up playing golf. Many nonlinear narratives involve repeating the same chain of events more than once, often with some variations. These repeating sequences require some strategic choices so the audience doesn’t have to snore through something they’ve already seen. At the same time,* the scenes should resemble each other enough that it feels like the sequence is repeating. Harry, Ron, and Hermione leaving the invisibility cloak and going into the Womping Willow. The three emerging from the willow, and Professor Lupin changing into a werewolf. The huge gathering of dementors over the lake. These events work particularly well because they are exciting and highly visible. A couple of them also involve shouting or howling. That makes it easy for a viewpoint character to notice them happening even when outside the immediate vicinity. While your story may not have so much action, you can still find strong landmarks. If the repeated scene is at a party, maybe someone drops their glass. The shattering glass could be heard in a different room, or someone might run into the kitchen to get some soda water and rags. In a scene full of dialogue, a dropped glass would be memorable. Outside these landmarks, a scene should either be different enough from the previous version to be entertaining, or it should be skipped entirely. If the timeline changes on every repetition, twists that make things more difficult for the protagonist and change the outcome of the loop will keep the audience interested. Otherwise, repeated scenes can also be interesting with new information that makes the audience interpret them in a new way – perhaps by using the thoughts of a different viewpoint character. However, depicting a scene that works with completely different interpretations is quite tricky. When the scene isn’t interesting enough on the second go, just summarize how time passes or transition to a few hours later, as appropriate. Skip ahead to the parts that matter. Rogue One is set in an unexplored part of Star Wars canon, so anything can happen! A story’s tension depends on uncertainty over the outcome of events. When you jump to the past, the outcome may already have been determined. This can kill the tension in prequel stories or flashback scenes. In some stories, this is solved just by keeping the stakes of the prequel clear of what’s already been determined. If these pieces of the story are set hundreds of years ago and the tension comes from whether a character lives or dies, then prequel syndrome is easily avoided. However, if your flashback is closely related to events that happen later – as ideally it would be – then maintaining tension can be harder. In these cases, it’s usually easier to keep audience interest with a good mystery. Your audience may know the viewpoint character dies by the end of the scene, but who kills them? When possible, build up the mystery before you take your audience back to the past. The mystery you present should also matter to the present. If your audience knows the murder victim was killed by a family member – and all family members are important characters in the present – then you’ll have great tension for your flashback. However, you may not always want to establish the mystery ahead. Perhaps the murder needs to be treated like a closed case, but the flashback shows how everyone has it wrong. In these instances, the flashback scene should significantly deviate from what people know as early as possible. This tells the audience that there are more outcomes to this scene than previously thought, which raises tension. Then, don’t disappoint them. A critical deviation from what they’ve been told should happen right before the scene closes. This makes your flashback end with a bang instead of a whimper. Most stories with flashbacks go back in time and then return to the present. The uncertain outcome of the present is still maintaining tension in the story, and the past matters by affecting the present. But what if you are going to the near past and staying there? This is tricky to pull off, but as the movie Memento shows us, it’s possible. The protagonist of Memento is Leonard, a man who can no longer form long-term memories. He can remember events for about five minutes, but then he forgets them. Aside from some older flashbacks to provide context, his story unfolds backward scene by scene. Since Leonard is as ignorant about what happened before the current scene as the audience, this works without making the audience figure out everything themselves. How does it have tension if we know how everything ends? The reveals in the unfolding scenes are so important, they change the meaning of the future the audience has already witnessed. The movie is one big mystery that isn’t solved until you see the beginning. If you haven’t seen this film, I highly recommend it, but keep in mind that writing a story like this would be an enormous challenge. When nonlinear stories are done right, they are novel and exciting. But time jumps can’t be thrown into any story with good results. The story has to be custom built to maximize its potential. A nonlinear narrative won’t save a story that’s not strong enough, and it can sabotage a story that would otherwise be enjoyable. Ba dum tss! Aren’t I clever? I love that Stargate episode. But I always wondered what the people living on the other side of those gates thought when the gate, perhaps after millennia of silence, came live only for a few small, white spheres to come out of it. Considering the Stargate universe, they probably see it as a sign from the gods or something. A few seasons later, SG1 goes to one of these planets and discovers they have a huge religious festival about playing golf. YAY A NEW ARTICLE. I got used to an article a day, then that stopped and I was sad. But new article! This makes me happy. For something related to the article: you mention using chapter titles to signify time jumps. They can also be used to signify POV jumps. I know that when multiple POVs are in the same book, I appreciate when the author uses chapter titles to show POV jumps. Usually, that means making the chapter title just the current POV character’s name. Unfortunately, it’s not always one article a day, but then, sometimes we get more than one. I’m always happy when I surf by the site and there’s a new one up. And, yes you can use chapter titles to signify any kind of jump – character, place, or time. Glad you’re enjoying the articles cerabobble! Just for the record, our schedule is as such. Friday: Article, usually by Chris. Saturday: Article, usually by me. Monday: Q&A or comic, alternating every week. We sometimes have recorded RPG sessions on Tuesdays, though those depend on our availability and schedules. Thanks for the schedule, Oren! I think that typically Chris will publish an article on Friday, Oren will publish one on Saturday, there is a podcast on Sunday, and Mondays alternate between answering questions and the comic. And they answer comments every day. I am really impressed with how much content this site puts out. #1 is exactly why I disliked Foundation. By the time Asimov rebooted the story for the third time within a few hundred pages, I didn’t care about literally anything that was going on. Foundation is a bit of a special case. Do you (or anybody else) have any ideas how events on such an extraordinary time scale could involve a cast of meaningfully related characters? My first thought was to invoke time dilation, but characters would still have to be at the mercy the science of psychohistory. So maintaining relationships between the characters could stretch plausibility. I loved the “rewind” at the end of The Theory of Everything for this very reason. The story unfolds to tell you everything Jane and Stephen went through and who they became. Stephen types out “Look what we made.” Then there’s the rewind to the moment just before they met, and it’s like seeing the universe before it was born. Combined with the music, it really packs a huge emotional punch. It hits me even harder now that Stephen Hawking has passed away. I like to think he went back to that moment before he met Jane and watched it all again.